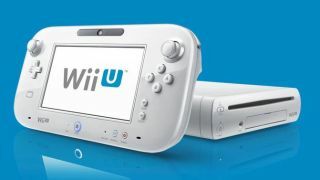 Nintendo has announced today that 51 games will release during the Wii U's "launch window." Of the 51 games, only two were actually confirmed to arrive on Nov. 18 alongside the system in North America, those games being "New Super Mario Bros U" and "Nintendo Land." "New Super Mario Bros U"
"Mass Effect 3: Special Edition"
Many of the games in the launch window lineup are ports of games also releasing on competing consoles, such as "Madden 13," "Darksiders 2," "Assassin's Creed 3," and the newly revealed Wii U port of "Call of Duty: Black Ops 2." That isn't necessarily a bad thing though, marking an improvement after the Wii was notoriously lacking many blockbuster multiplatform hits. Particularly notable in the Wii U launch window is Capcom's Monster Hunter 3 Ultimate. The newly announced game is significant for the franchise's popularity, especially in Japan, but also for giving an indication of how far Nintendo's "launch window" extends. Monster Hunter 3 Ultimate was announced for a March 2013 release date, which may be further in the future than many fans expect when they hear the term "launch window" thrown about. That also means we can expect to see the 51 confirmed Wii U games arrive in stores sometime during the system's first five months on store shelves. Check the list below for the full list of Wii U launch window games.